Mike Greene - mgreene@shawmedia.com works packaging products at Wauconda Tool & Engineering Monday, April 9, 2012 in Algonquin. Wauconda Tool & Engineering exports roughly fifty percent of their products out of the country. Mike Greene - mgreene@shawmedia.com works packaging products at Wauconda Tool & Engineering Monday, April 9, 2012 in Algonquin. 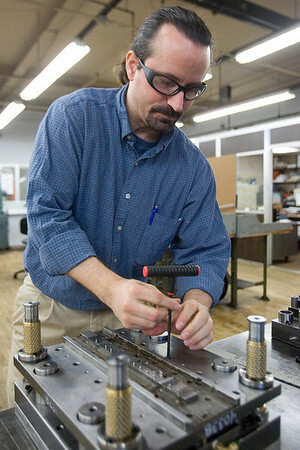 Wauconda Tool & Engineering is one of the largest manufacturers remaining in the village. 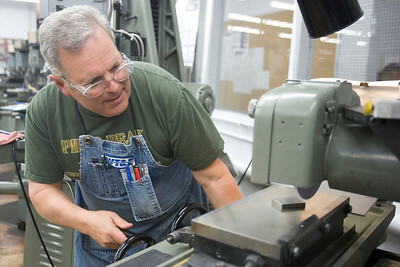 Mike Greene - mgreene@shawmedia.com Brian Kelley, of Schaumburg, operates a machine at Wauconda Tool & Engineering Monday, April 9, 2012 in Algonquin. Wauconda Tool & Engineering is one of the largest manufacturers remaining in the village. 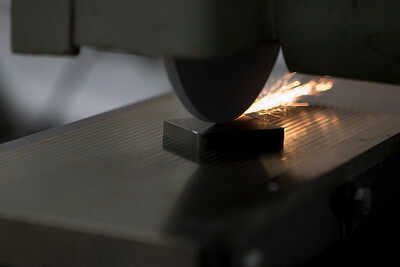 Mike Greene - mgreene@shawmedia.com Luisa Reyes troubleshoots a strip going through a die at Wauconda Tool & Engineering Monday, April 9, 2012 in Algonquin. Since 1950 Wauconda Tool & Engineering has served the automotive, electronic, communication, electrical-mechanical and medical markets. Mike Greene - mgreene@shawmedia.com Jose Urcid, of Hanover Park, operates a tool-makers microscope as part of quality control at Wauconda Tool & Engineering Monday, April 9, 2012 in Algonquin. Wauconda Tool & Engineering exports roughly fifty percent of their products out of the country. Mike Greene - mgreene@shawmedia.com Danny Kubasak, of Elgin dismantles a die at Wauconda Tool & Engineering Monday, April 9, 2012 in Algonquin. Kubasak speaks at high schools in the region about opportunities for students to join the industry. 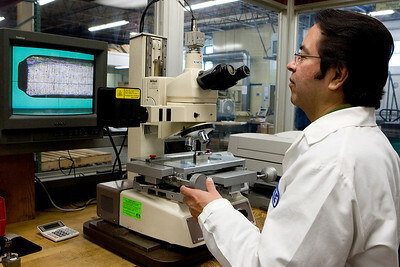 Jose Urcid, of Hanover Park, operates a tool-makers microscope as part of quality control at Wauconda Tool & Engineering Monday, April 9, 2012 in Algonquin. Wauconda Tool & Engineering exports roughly fifty percent of their products out of the country.